To Have His Memorial Painted! The “King of Pop” died June 25, 2009 at his home in Los Angeles after receiving fatal doses of the drugs from his doctor. 2019 is the 10 year anniversary of his passing and world interest in highlighting his genius is alive and well. Jackson, one of 10 siblings in the famous Jackson family from Gary, Indiana, the Most Famous Man in the World, was a mega-global super-star; he was a best-selling music artist the year he died influenting international music and dance, and also the fashion world. Last year, Jackson was the #1 dead celebrity money maker in the work with an income of $85 million. His fan base in 2018 is greater than when he was alive. 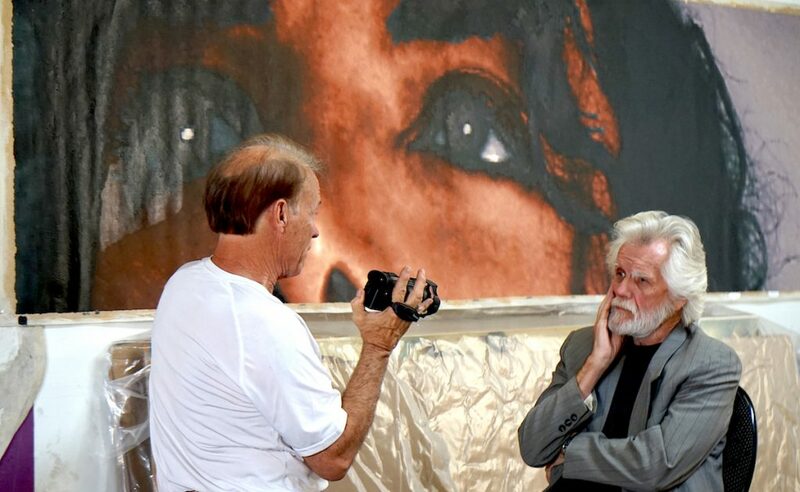 Scott M. Haskins tacks up a painting of Michael Jackson’s eyes painted by Kent Twitchell while working with Michael in his studio. This was done in a live sitting. This entry was posted in Consultations, FACL in the media, Murals, Professional activities. Bookmark the permalink. 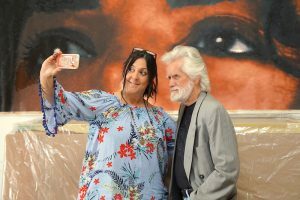 13 Responses to Michael Jackson Collaborated With Artist Kent Twitchell To Have His Mural Painted! Andrew Wilson’s book about the hand print looks interesting… weird. Great story. I heard MJ was the highest paid dead celebrity last year… that means he’s still totally relevant and popular. It would seem like there would be a biddingwar to be connected with this masterpiece. There are some real crazies out here for MJ. Wherever this will be put up, it will be a destination place to visit. This is by far the coolest thing I’ve seen on the internet in a long time. This is MAJOR!!! I mean, this will make the building famous that gets this mural! And how about the merchandising?!?! Check in with your Dad Dianna, he’s a pro. Thanks for your comment. Many artists are self-publishing today, by choice. 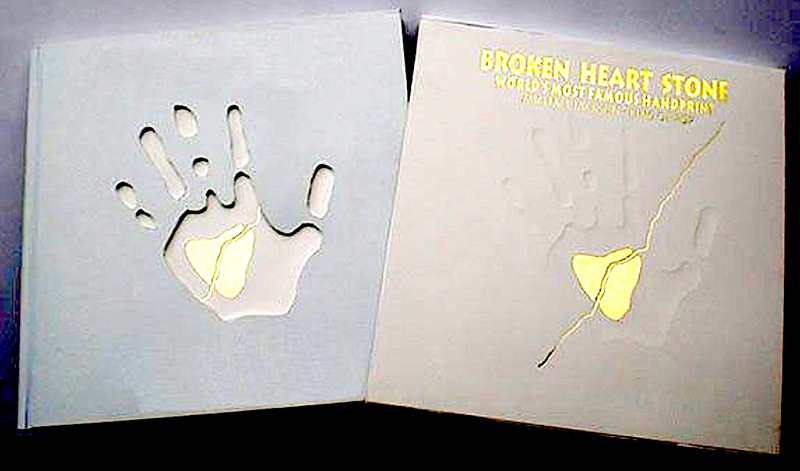 Their books can become works of art. It is just the expense that clouds the issue I guess. Great idea Marylin but its one thing to write/put together a book and a totally different challenge to distribute it. When I wrote my first book in the Save Your Stuff series I thought I deserved a college degree. But then I began the distribution process which has turned out to be MUCH more complicated than writing the book. Hi Jen, we’re working on the possibilities now. Our first priority is to keep it in LA. Great, when we spoke I LOVED this idea! Pls. update us when this will happen! LA belongs to Kent Twitchell!! May I suggest if not for the public but for family members, create a book of your murals with how you created them. You could create a map of your murals to follow. Add your comments on what you were thinking about the projects. What an interesting story that would make. I would have loved to know what my dad was thinking about what he created as an artist and the stories connected with the coloramas he was involved with Kodak. I am so glad I met you and hope only the best for you.